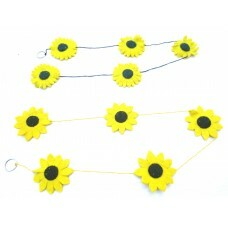 Sun flower wall hanger is hand made product. It is made from sheep wool. It is available in assorted colors. It is as beautiful as a real sunflower. It is specially used to decorate houses and the walls of the rooms.